This was one of the classic Christian books of the 20th century. If you have not read it, now is the time. 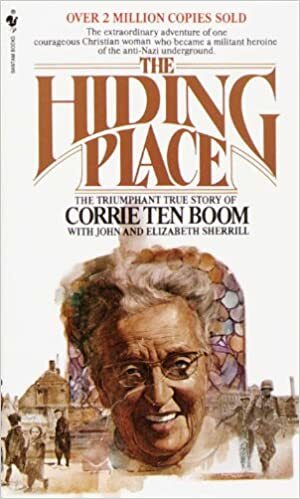 It is the true story of Corrie Ten Boom, a 50-something single lady, living a placid life with her watchmaker father and sister in Holland at the outbreak of WWII. Their strong faith led them to become involved in protecting Jews and resistance operators after the Nazi occupation. Eventually they are captured and imprisoned in brutal conditions. Their father dies almost right away, but Corrie and her sister Betsie bring the message of God’s love in places of persecution that stagger the imagination. Corrie is later used in a powerful way to bring the message of God’s love to friend and enemy alike. Great for adults and teenagers alike. A message of hope and victory where one would least expect it.